Pets have come a long way since Toto, Lassie, Snoopy, Snowbell, and Garfield set the stage for pet-loving families. But while these fictional pets were cherished, it’s hard to imagine them ever being a major part of the home’s design. Fast forward to the 21st century where new homeowners are integrating pets in homes and making sure they have all the indoor and outdoor accommodations to keep them safe and comfortable. 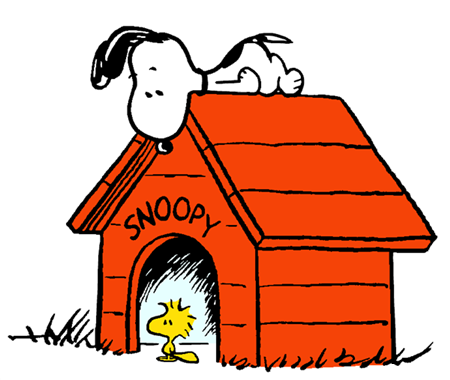 Top: From fiction to reality: Move over, Snoopy and Woodstock. Pets have now moved to the main house – with doghouses just an option for dogs that love the outdoors (courtesy of Pinterest). 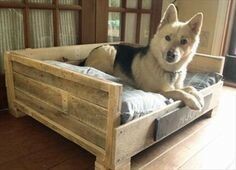 Bottom: A crate with a dog mattress is transformed into a comfortable and safe “accommodation” inside the home (courtesy of Pinterest). According to the 2017-2018 National Pet Owners Survey conducted by the American Pet Products Association (APPA), 68 percent of American households – or about 85 million families – own a pet. The South is the dominant region for dog ownership, but the Pacific Northwest is the part of the country where dogs are integrated into the everyday activities of a family. It is estimated that $72.13 billion will be spent on pets in the U.S. – with expenditures ranging from food, supplies/OTC medicine, and veterinary care to services that include grooming, boarding, training, pet sitting, pet exercise, pet walking, and other miscellaneous needs. Americans really love their pets, especially their cats and dogs – and consider them part of the family. These pet lovers are not only willing to share their homes with their four-legged friends but are custom-designing spaces for them to create a pleasant and livable environment. From pet rooms to furniture, dog showers, and washing stations, there are ways to plan for pets in your dream home. Let’s get started with these simple steps. A Harris Poll conducted in 2015 showed that 71 percent of U.S. pet owners allow their cats or dogs to sleep with them. But no matter how much you love your cats, dogs, and birds, animal experts point out that pets need their own space to rest and relax after running around the backyard or spending time with the family. So whether it’s a no-frills crate in a corner of your bedroom or a corner off the kitchen or a bonus room, it’s important for pets to have their own sleep space. 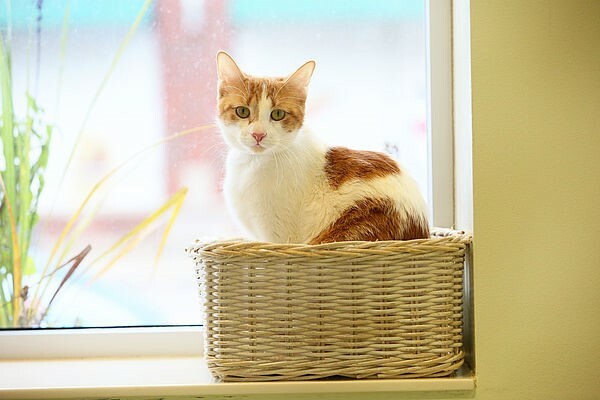 Top: A woven basket perched on a window ledge is a snug sleep space for a pet cat (courtesy of Paws Chicago). 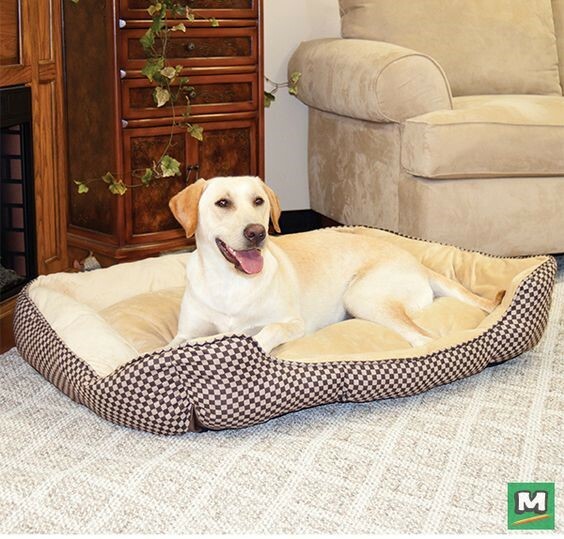 Bottom: An innovative way to keep your dog snug and cozy is a bed built with a special type of insulation and that radiates warmth generated from your pet’s own body heat (courtesy of Menards). A bonus room in a 2-story, 4-bedroom Craftsman style home has plenty of corners to put pet beds for your cats and dogs (House Plan #153-1781). If you prefer a permanent, non-movable sleep space for your pets, consider an old linen closet or a small pantry, especially if you’re renovating the master bathroom and the kitchen, respectively, to make them more spacious – and include plenty of cabinets and drawers for storage space. You can install a door or keep the room completely open. Throw in pet beds, toys, and bowls for water and food to make the room ideal for your cat or dog. Plan on including a pet space, storage containers, or open shelves for bowls, food, treats, toys, cleaning supplies, and pet toiletries in a utility area like a laundry room. 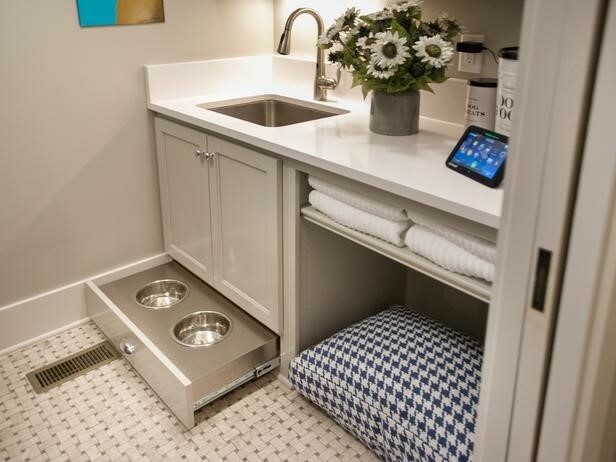 New homes designed with a sizable mudroom or laundry room have space for a few amenities – like a dog shower, grooming table, and pet furniture – to become true pet friendly home plans. 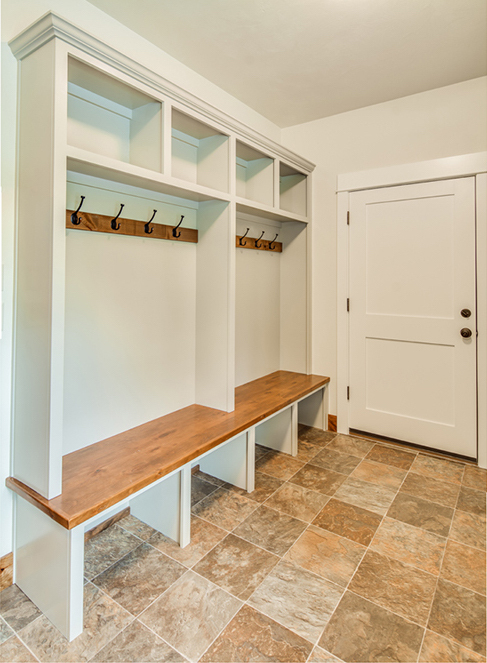 Creativity goes a long way in this simple mudroom space. Take a look at the made-to-order shelf with storage spaces for food, toys, and supplies; and a large-enough space at the bottom for a dog bed. Water and food bowls are located on the right side of the shelf (courtesy of Pinterest). Top: A very spacious mudroom in a 2-story, 6-bedroom Country style home can be redesigned to include a dedicated pet space (House Plan #163-1047). Bottom: This pet space includes a mattress, a pull-out drawer for water and food, and an open shelf for pet towels (courtesy of Decorpad). 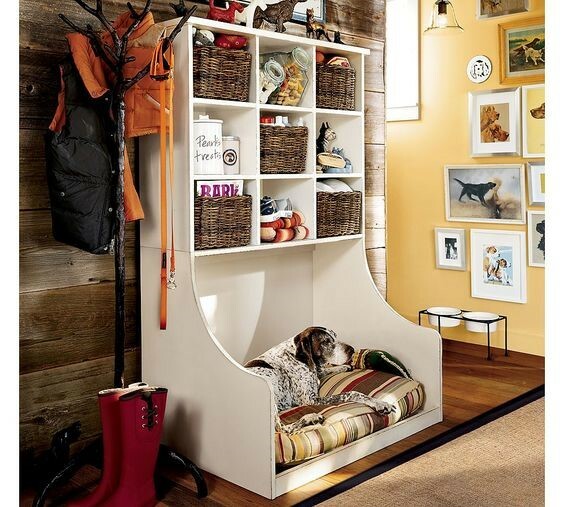 Another idea is to transform your entryway into a makeshift pet space. You can build open shelves for bins, baskets, and containers to store all your pets’ needs. 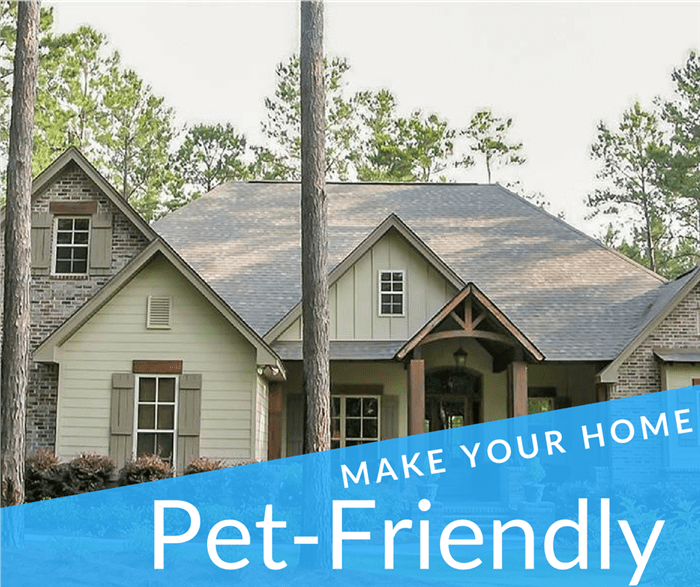 In a number of new-construction pet friendly house plans, homeowners have specific ideas for a dedicated entryway for their dogs. 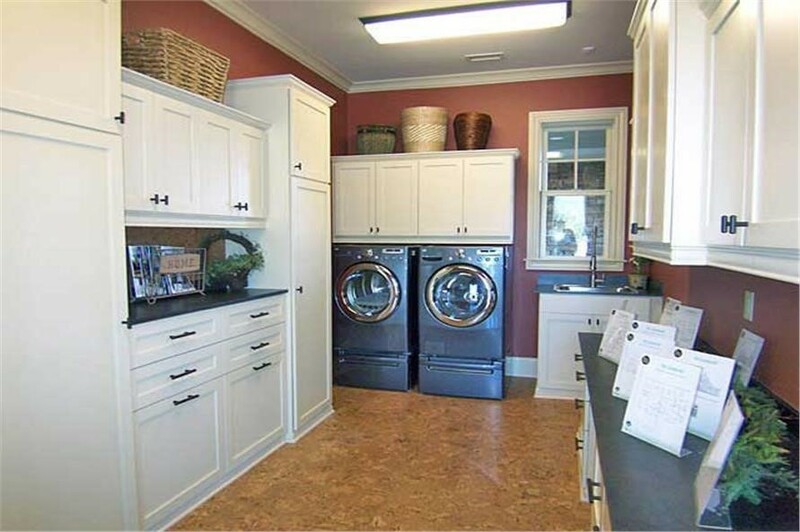 In these designs – usually next to the mudroom or laundry room – the areas have tile or concrete floors to allow easy clean up when the dog comes in with muddy paws and a wet coat. 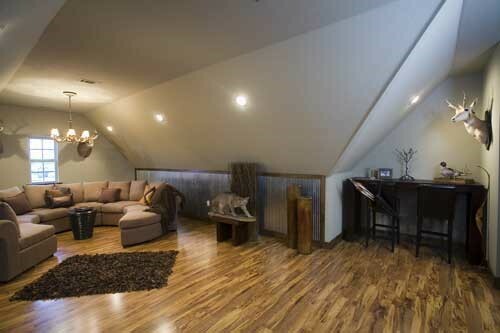 A part of this huge side entryway is designed as a living space for the family’s dog. There’s built-in open shelving and half of a long counter devoted to a sleep area with a screened-in door (courtesy of Decorpad). This roomy open shelf at the entryway (from the garage) of a 1-story, 3-bedroom Craftsman style home can be restructured as a pet space. Consider adding more height to the bottom shelf to fit a bed mattress, and use storage baskets for other pet needs. The tile flooring makes cleaning up an easy task (House Plan #108-1794). Now that your pets have moved in with you, think of their safety inside and outside the home – as you would any child or a young member of the family. Just like curious toddlers, pets are fascinated by a lot of things in the bedroom, kitchen, bathroom, and outdoor spaces. Here are a few tips to make your pets safe at home. • Cover electric outlets, and keep electrical cords out of their way. • Keep dressers free of items like batteries, jewelry, and pens, which can choke your pets. Lamps are also hazardous because your pets can knock them down. • Hide the trash to protect your pets from spoiled food and household chemicals. Use a garbage can with a pet-safe lid, or keep the can in a locked cabinet or pantry. • Install child-safety locks on a) kitchen cabinets where you keep cleaning supplies and sharp utensils and b) medicine cabinets that contain medications, supplements, and other items that can be toxic for your pets. • Keep the washer and dryer in the laundry room closed at all times – when not in use – to prevent cats and small dogs from climbing in. • Put up a pet gate – as you would a child gate – to prevent your pets from falling down the stairs. • Think of installing carpet on the stair treads to make it easier for your cats and dogs to go up and down. • To avoid spills and accidents on a slippery floor; put water and food bowls in a large plastic container to catch any spillage. • Set up umbrellas and mats on the sundeck or porch to protect your pets from extreme summer heat. Gentle hardscapes like pea gravel are easy on your pets’ paws. Be sure that flower beds in the yard are elevated or bordered with stones and garden tmbers to keep pets from running through them. Before you plant anything in the yard, experts recommend checking with the Humane Society or the ASPCA about toxic flowers and foliage that should be kept off your garden to protect your pets. 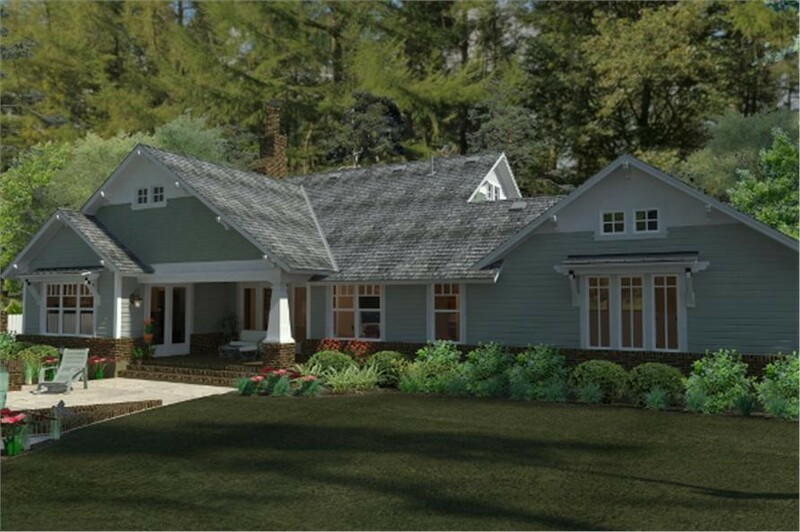 Any pet will love this backyard in a 1-story, 3-bedroom Craftsman house plan. There’s a gravel path to shake off dirt from the yard, and with more grass than flower beds and shrubbery, pets can run around without getting into the plants and other foliage (House Plan #117-1095). As you would pamper yourself or any other member of the family, remember to make your home a haven for your pets. • Adding a ramp outside the entryway not only works for family members and friends on wheelchairs, but also helps older pets to get into the house. • Think of installing radiant heat systems under tile floors to keep your pets warm during winter months. • A pet shower in the mudroom or laundry room makes it convenient to wash and dry your pets before they go into the main living areas. • If you’re into grooming your pets, then a grooming table will make sense. 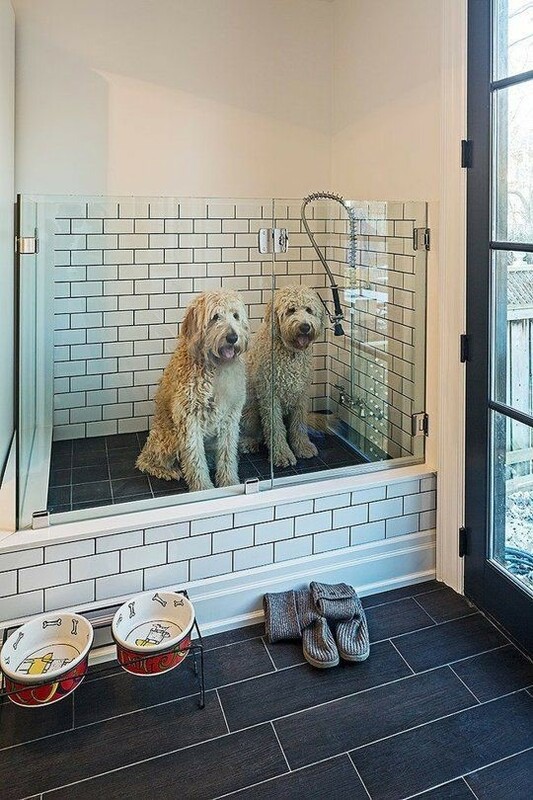 From the yard to the shower: Your dogs can jump into the shower and get all cleaned up and dried before settling into their pet room (courtesy of Apartment Therapy/Peter A, Sellar). Think about the exciting design innovations in your dream home now that your pets are integrated into your lifestyle as members of the family. Take the time to make your home as pet-friendly as possible – and have some fun in the process. Footnote: The lead image in this article is a 1-story, 3-bedroom Craftsman home that includes flex space in its floor plan near the entryway, which can be used as a pet room (House Plan #142-1168).